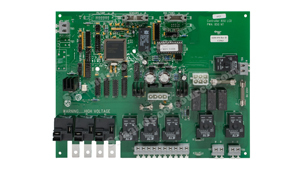 Printed Circuit Boards for many of the top manufactures. Search by the spa manufacture or by the equipment manufacture. We offer a wide selection and excellent pricing for your electronic needs. Manufactures such as: Balboa, Brett Aqualine, Catalina, Dimension One, Gecko, Hydroquip, LA Spas, Cal Spas, Ramco, Spa Builders and Sundance Spas. Brett Aqualine was the most widely used systems in the past as a spa pack that many manufactures installed under the skirt of their spas. These are Factory Direct Boards from the makers of Brett Aqualine. Catalina Control Systems were used on early Brett Aqualine Systems and Catalina Systems. 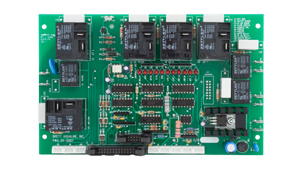 Included is a Universal Replacement Board for the BL-40 System. 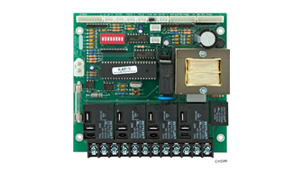 Sundance® Spas Circuit boards are factory direct boards. We DO NOT sell rebuilt boards. 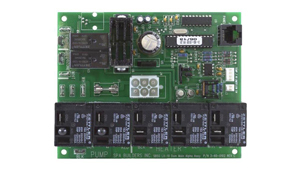 We stock all current boards ready to ship, with the factory warranty.